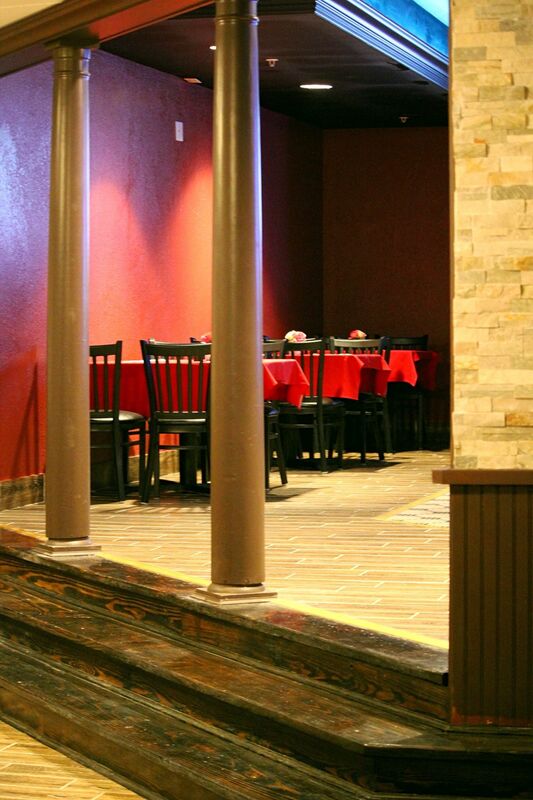 Taj Restaurant and Bar, 803 E. Central Texas Expressway, is now open in Killeen. The Taj Restaurant and Bar's has three-leveled elevated seating. Taj Restaurant and Bar, 803 E. Central Texas Expressway, opened to the public for a soft opening on Wednesday and provided a buffet-style experience for guests. Next week, the full menu will be available; Taj’s regular menu includes lamb, chicken, and fish biryani, curry, korma, vindaloo, tikka masala, tandoori, saag and more. The restaurant also has a full vegetarian menu. Google reviews have been positive and the restaurant can now be found on WeDeliverKilleen. Taj is independent from the adjacent Red Lion Hotel, but has inside access to it. Operating hours for the restaurant are Sunday to Thursday 11 a.m. to 10 p.m. and 11 a.m. to 11 p.m. Friday to Saturday. There was an unexpected flow of patrons for the soft opening, according to an owner, who mentioned only expecting a few visitors to show up. There are future plans to host catered events and to eventually have parties thrown here, said co-owner Rajesh Gautum. Gautum opened the restaurant with his brother. One event room currently in renovation is a large, spacious room that can hold a few hundred guests. A grand opening and ribbon cutting being planned for the end of the month.